Tempted by the big lines and adventure of backcountry skiing? Intimidated by all the scary stories about avalanches, crevasses and storms? Find out for yourself! 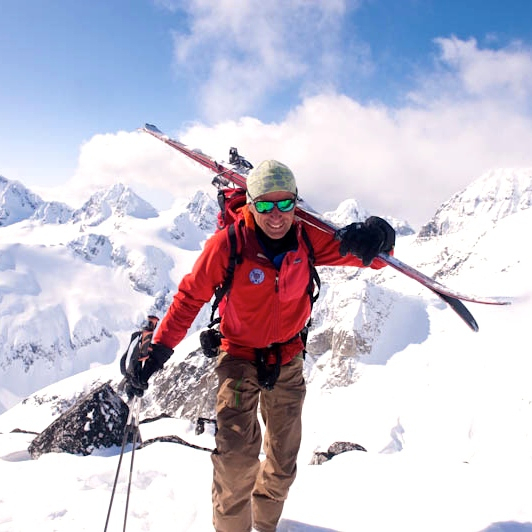 This course will leave you with a solid knowledge of what you’re getting into – and memories of incredible runs, wonderful food, the magic of lodge living, and backcountry adventure coached by an experienced mountain guide and CAA instructor. We loved our course and the entire trip. Sensational views, excellent chalet, highly trained and informative guides, Molly's superb cooking and all that powder. We have lived in Smithers for 14 years, have travelled the world, and all this time, since 2001, this gem of an experience was right on our doorstep. We will be back a lot more often. We enjoyed the chalet and really appreciated the course, patience and tips we received from Christoph and Lucas. The last time we had someone preparing food for us that was this good was nearly 30 years ago, in a camp where Molly's mother was the cook. Thank you for an amazing experience.